Discount chain store Jack’s launched last year, a new venture from Tesco that is named after the supermarket giant’s founder, Jack Cohen. The chain, which opened its first branches in Cambridgeshire and Lincolnshire last September, now has eight stores across the UK, and prides itself on three things: its 100-year-old heritage born out of a market stall in East London, its British-grown products and its cheap prices. 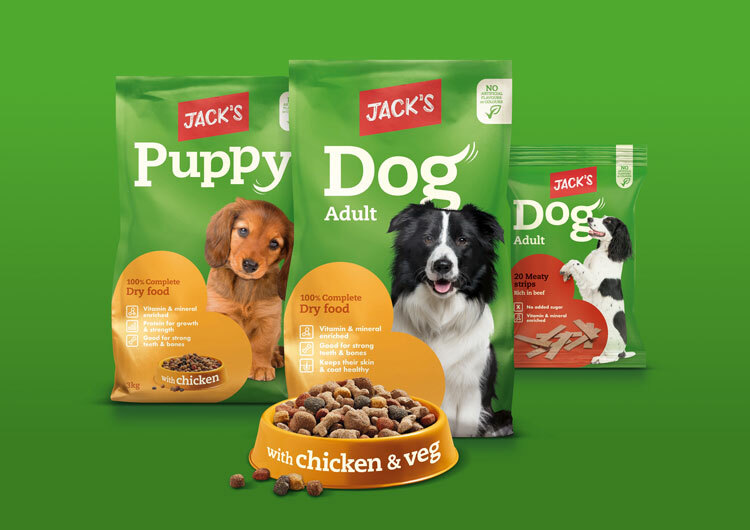 The fact that 80% of Jack’s products are “grown, reared or made in Britain” could set it apart from other budget supermarket rivals such as Lidl and Aldi. These German brands have also pledged their commitment to sourcing British goods for their UK stores, but not to the same extent as Jack’s. 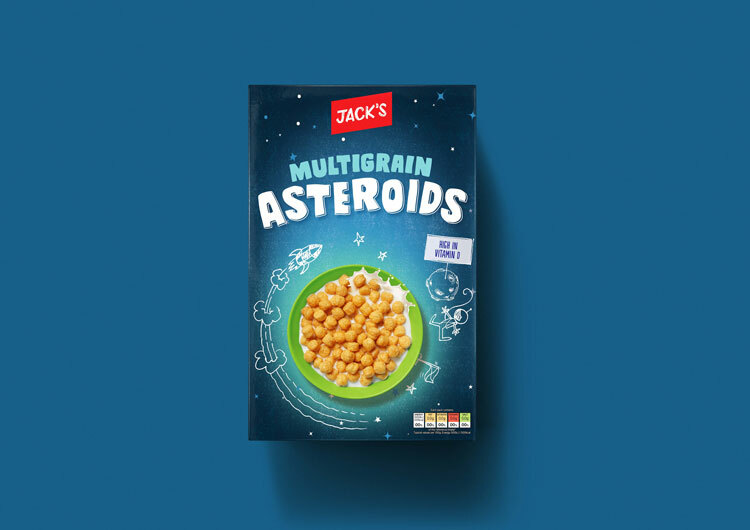 Jack’s could offer a unique selling point for consumers who do not want their fresh food to have travelled far, or for environmentally-conscious shoppers who are wary of air-miles. Some have viewed Jack’s ethos in a more cynical way; Rivkah Brown, a journalist at The Guardian, aligned Jack’s focus on British-ness with the UK’s decision to leave the European Union (EU) and claimed that, complemented by its Union Jack-inspired brand identity, the new chain indicates “self-sufficiency” and is a “parable of Brexit Britain”. Alongside the new logo, which features the word “Jack’s” written in a hand-painted style in white across a red rectangular background, the supermarket’s wider visual identity also appears pretty patriotic. A palette of red, white and blue dominates, while the Union Jack flag features across much of its communications and in-store signage, as do references to its stock’s British origins. 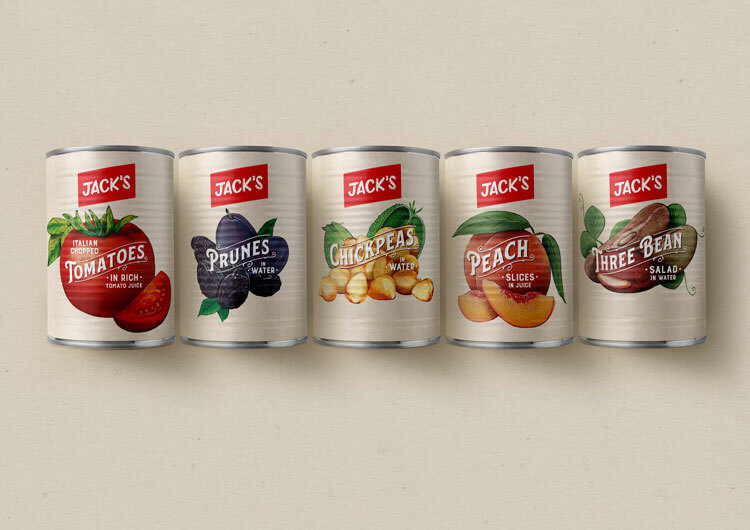 1HQ was one of many design studios hired to help bring Jack’s ranges to life through packaging and branding, also tasked with imbuing a sense of nostalgic Britishness into its ranges. 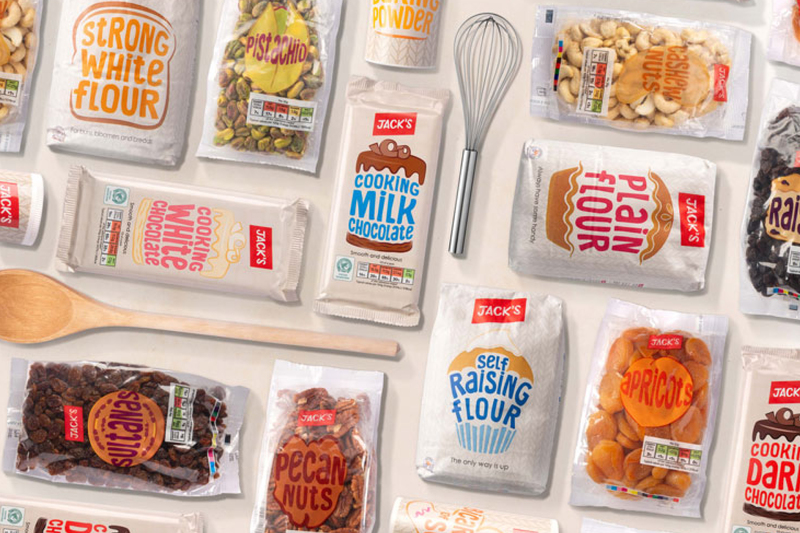 Unlike most UK supermarkets, everything in-store at Jack’s is own-brand, so the design project, completely by a roster of different design studios, involved every single product in-store. 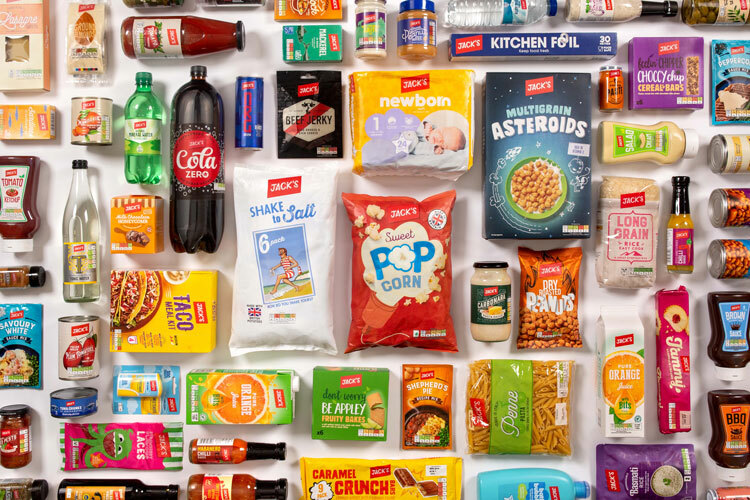 1HQ was tasked with creating the packaging for over 500 products, including fresh food, snacks, baby and pet ranges, and general household items, resulting in 89 different design styles. 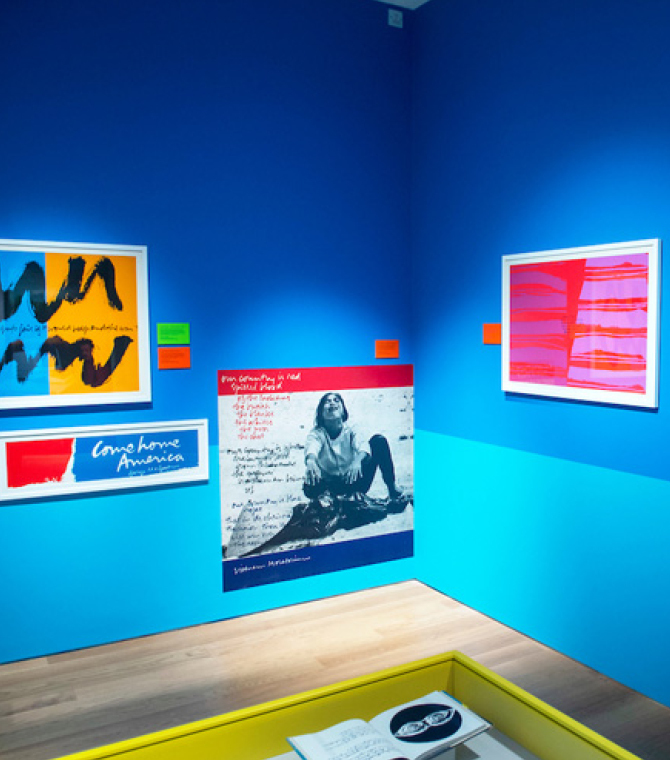 The studio looked at a range of styles, from typographic to illustration and photography, and designed packaging layout. 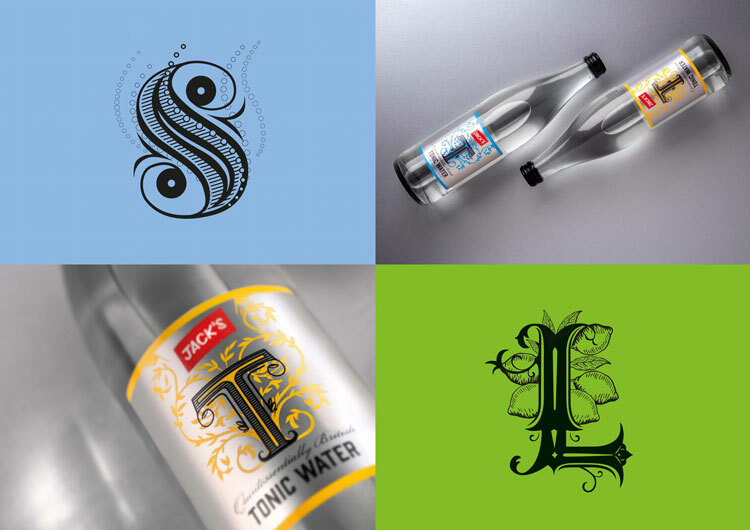 Jack’s red logo is used consistently across all these different ranges, placed at the top-centre of each item. 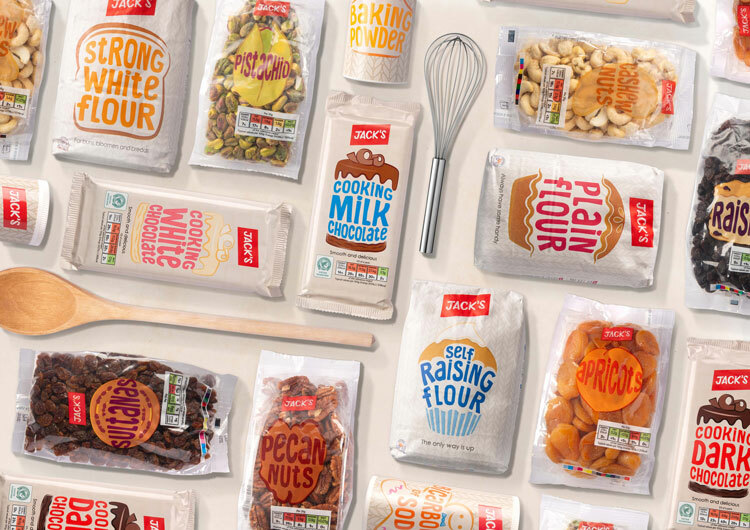 Liz Jones, client director at 1HQ, says the main aim of the new packaging design was to create a “sense of consistency” while giving different ranges and products “their own personalities” – while avoiding looking “cheap”. 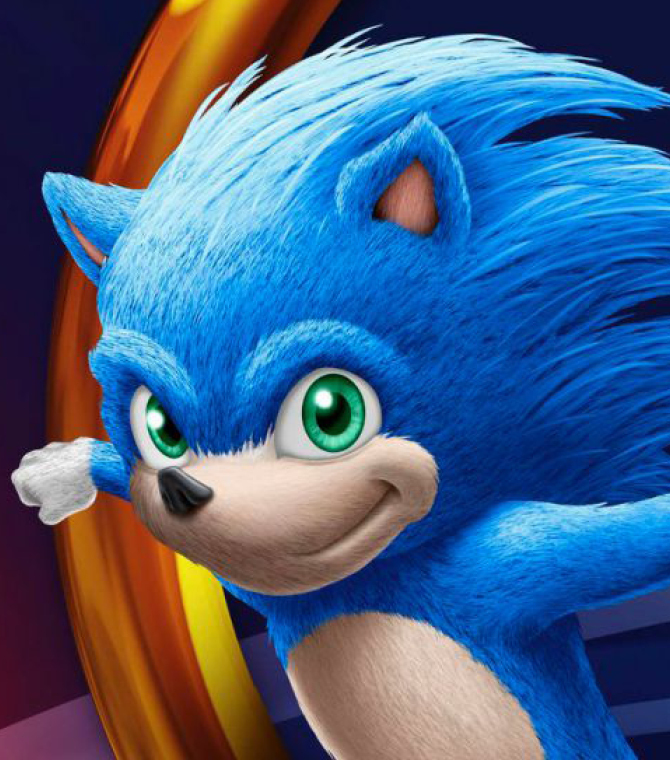 However, the studio actively avoiding trying to create a “luxury” look for the brand, says Jones, with the chain selling itself around a “simplified” range of products, with “no fancy fixtures or added extras” but just “good quality at low prices”. “We didn’t have the restraints of Tesco, we had more freedom,” she says. “There is this idea that value packaging needs to look basic, but we wanted people to feel good about buying cheaper products. 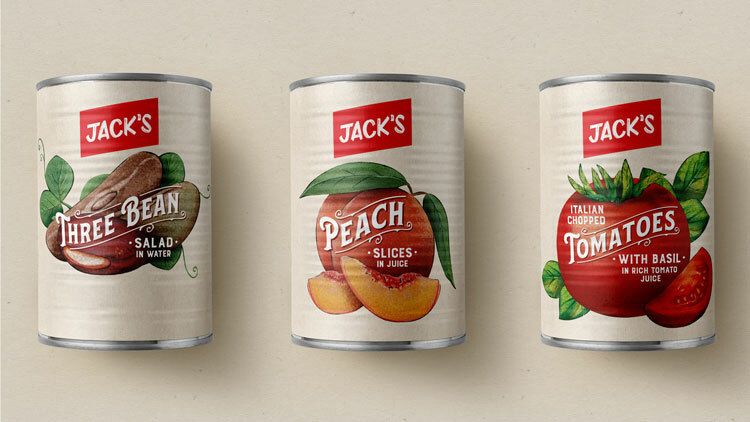 The selection of tinned fruit and vegetables follow this “nostalgic” and “hand-made” style, with illustrations on-pack, and a more natural colour palette, set against an off-white background. As does the baking selection, which features illustrations and sans-serif typefaces set in various sizes, with irregular letter sizing. 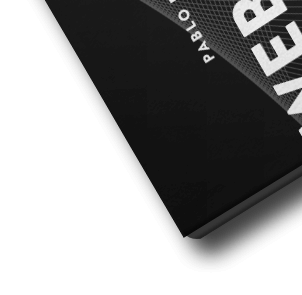 Some other ranges follow a completely different style – pets, for instance, features a “bold” look, says Jones, with a much brighter colour palette of green and yellow, and bespoke typefaces that incorporate a wagging dog’s tail. 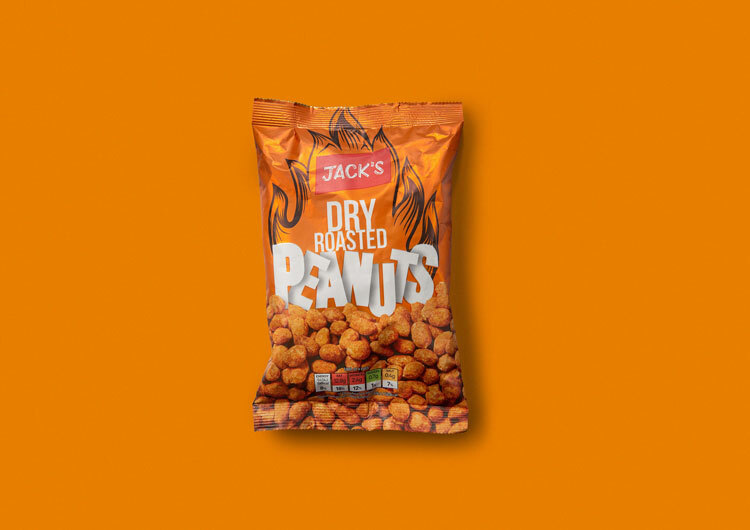 With Jack’s proud claim that eight out of 10 of its products are British-born, 1HQ also had to instill British-ness into the brand – which the studio did overtly in some places, and more discretely in others, Jones says. Whether there is any intent to link the British ethos of the chain with UK’s impending departure from the EU, Jones does not comment on – but regardless, the new supermarket is making its British roots a key part of its allure and offering. The 500 products 1HQ designed have now rolled out across all Jack’s branches. 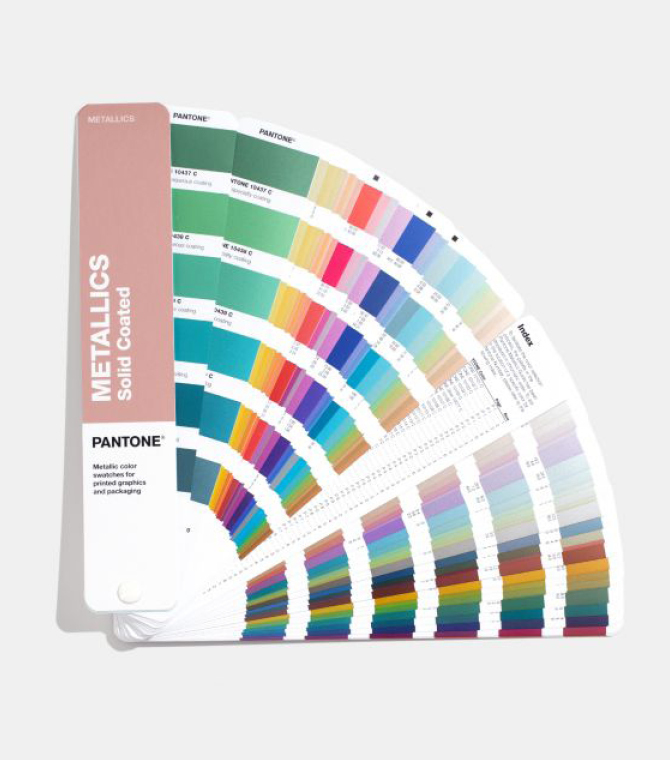 The whole project, including brand strategy, took roughly a year, with five months spent on design.